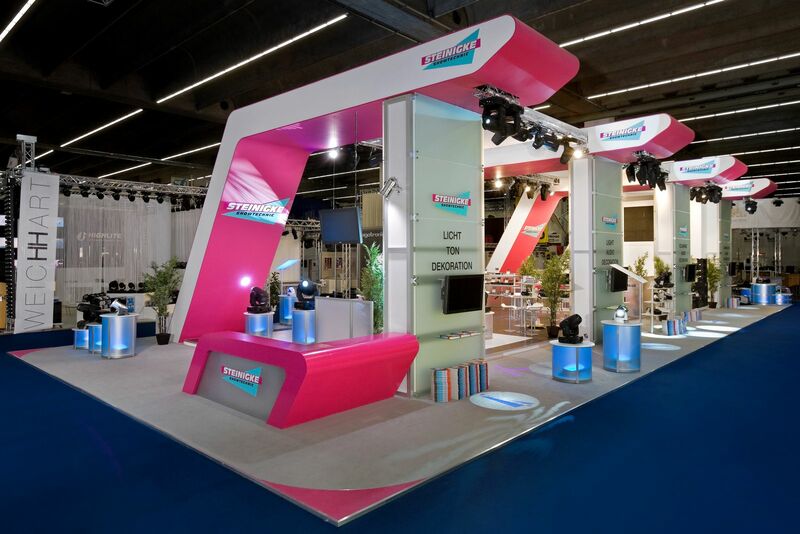 Once again a new year has started and the new Showtechnic NEWS catalog will be presented on the prolight+sound in Frankfurt. One little change is obvious: we have slightly changed the rhythm of our catalogs. Instead of the heavy main catalog we have now decided to present a compact NEWS edition. 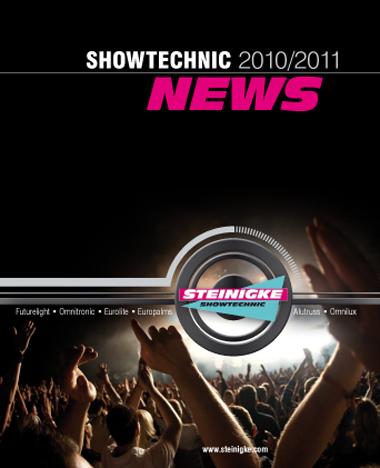 The Showtechnic catalog 2009/2010 remains valid and will be supplemented by the NEWS edition. Furthermore, every NEWS catalog includes a DVD with the updated complete product range so that you have all products in one DVD. Back to the news: the novelties are presented in 13 chapters on 192 pages. The well-structured layout of the last years was kept and a little modified. The design has only changed a little. An elaborated table of contents makes the glossary at the end obsolete so that we left it away. As usual, this reference book including the DVD is meant to be a working basis, source of inspiration and adviser to you. After all, we would like to be successful with you. You can order the Showtechnic NEWS under katalog@steinigke.de. As usual, this reference book including the DVD is meant to be a working basis, source of inspiration and adviser to you. After all, we would like to be successful with you. 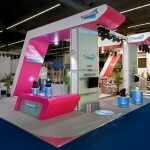 The days are passing by and the preparation for ‘Prolight & Sound 2010’ in Frankfurt is in full activity. In our fairoffice and fairstoreroom is a coming and going of our staffmembers, who planned our booth and it’s almost impossible to understand your own words. Everybody builts, puzzles and plans. Also the production of the new catalog is in time because of our busy members. In spite of the many news we will be able to give our customers a lot of information-material in this year. Which products are new in our programm, you will get to know directly at our new location in hall 11, stall A11 and A05 of the fairground Frankfurt.24th 03 till 27th 03 2010 you can experience our captial additions as well as the product of your fairteams’ hard work. But till then there’s a lot to do and we are looking forward to salute you at “our fair”.